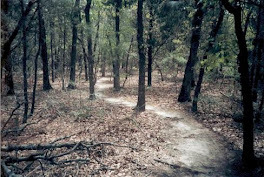 This is a blog that reviews 50k Trail Races in the State of Texas, Oklahoma, Louisiana, and Arkansas. 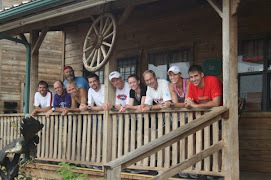 Reviews will consist of information about the trail itself, aid station information, and other pertinent information that trail runners are looking for. 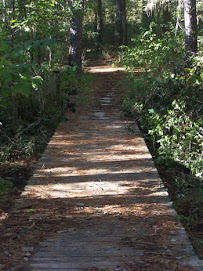 From time to time, I will also include information on other trails as I experience them. 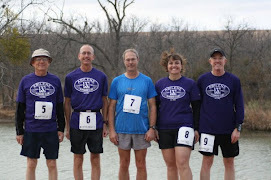 I will also include a list of 50k trail races in the four state region, as well as some equipment reviews, and nutrition information for ultra runners. 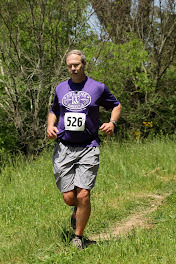 I was talking to a friend of mine the other day who had just run the San Antonio marathon, and he kept referring to the scenery, which of course, he was talking about the city itself...the buildings, the landscape, etc...and I had just returned from running the Louisiana Trails 50k in Shreveport, Louisiana. 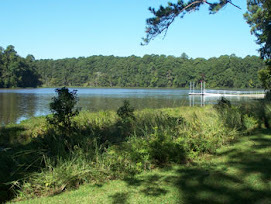 My run was held strictly within a pristine Louisiana forest, which was reminiscent of the Piney Woods region of Texas. I am always amazed at what people call "a good view." I can say the same thing about myself, as I have stood at the top of the Sears Tower building in Chicago, amazed at the view, and it was cool seeing Wrigley Field and other great sites. But I have always thought that "a good view" was one that contained mountains, trees, rivers, lakes, flowers, birds, and deer. Running around city streets, seeing buildings, cars, people, parking lots, with signs everywhere, smelling exhaust fumes always seemed so alien to me. Running on roads at some large events around the country have their appeal, though. 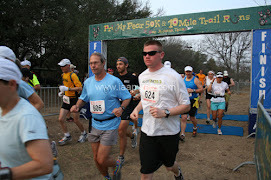 I love the energy that is represented at some of the larger marathons, such as Houston, Dallas, Fort Worth, and others. People are in a spirit unlike any other event, and moving together with thousands of other runners is a sociological phenomenon like no other! 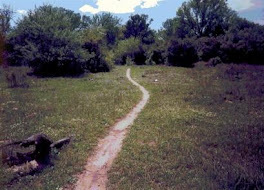 However, trail runs are much more low key, with no starting pistols, no flyovers, no bands, and no crowds cheering you on toward the finish. And usually, by the time you finish one of those long 50k's or 50 mile races, most of the people are gone, and you are left to cross the finish line on your own with no fanfare. But the rewards are such that no one can explain except through experience. 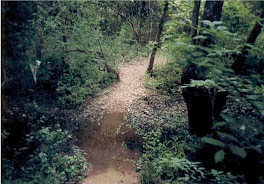 The forest is alive with energy, the trails are inviting, the leaves cover the forest floor, and during the fall season, the leaves are changing colors. 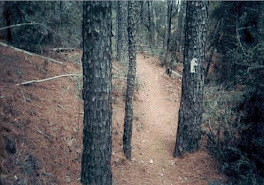 Most trail runs are conducted in such environments, and its a no-no to leave trash on the trail...in road races, the roads are littered with paper cups, energy gel packets and empty water bottles. 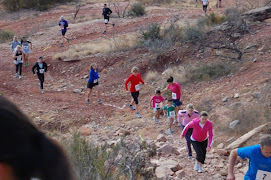 In a trail race, you can be disqualified for littering. 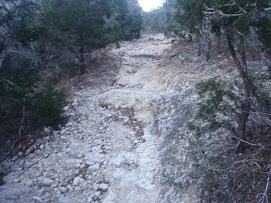 There are also hazards in a trail race you won't face on the roads. For example, the roots will reach out and grab you, especially as you tire after running 20 or more miles. Rocks will tear your feet to shreds. 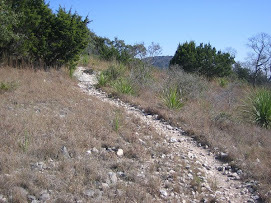 The downhills can be treacherous, and if you fall, you could break something, or twist an ankle fairly easily. On the other hand, in a road race, you still may have to contend with vehicles that don't want to wait for runners to cross a road. Exhaust fumes may overwhelm you. People that line up alongside the road to gawk at runners may say stupid things. 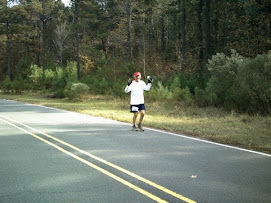 During one road marathon in Houston, I passed by some people that were making fun of runners who were slower, and looked "funny" to them. I overheard one spectator say out loud, "they all look so bizzare!" She was looking at us as if we were odd spectacles from another planet. I often wondered, too, if people really needed those crowds to cheer for them. Running is an individual sport, and running alone is sometimes a great time for introspection. Do people really need rock bands scattered every mile in order to be so distracted that they don't realize that running a marathon is difficult? On the other hand, I enjoyed hearing the many bands I have heard along the way. 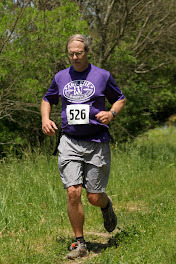 Trail runners seem to be different sorts of animals, too. They are often older than the average road runners. They are kinder, it seems. More laid back. 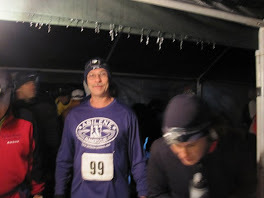 I watched two runners nearing the end of their 50k race (31.2 miles) turn around and run two miles backward to find aid for a fallen runner once. 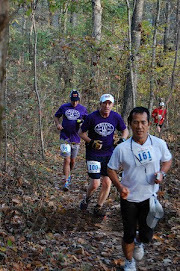 When runners fall, others stop what they are doing to check on you to see if you are ok.
Back to the "view," I still don't see city buildings as scenic, but I will admit that both types of races are still exciting, and I find interesting things about both, but trail running, without the accolades, big money, cheering crowds, and pristine forests is quite alluring. Everyone should try it...or not! Trail runs are starting to get crowded. For some of the largest races, it is almost impossible to get registered for a race. Waiting lists are common, now, and when registration opens, most interesting trail runs can close quickly. 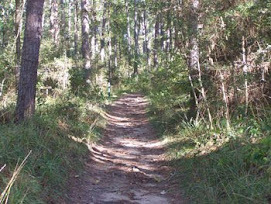 I am happy to have discovered trail runs, and I long for the next one, although, by the time I have run 30 or so miles through those pristine forests, I am more than ready for a good "view" of a city, a steak, and a cold beer!